Ryan Donato's two goals led the Americans to a victory. In other qualification games later Tuesday, Finland played South Korea, with the winner advancing to take on Canada; Slovenia faced Norway, with the winner advancing to play the “Olympic Athletes from Russia”); and Germany played Switzerland, with the winner advancing to face Sweden. 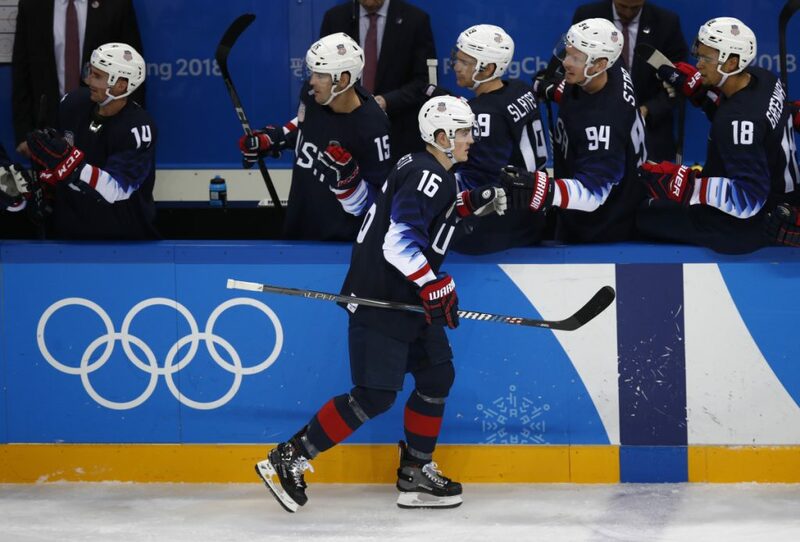 With Cajovsky given a match penalty – a five-minute major and an ejection – and Nagy in the penalty box for goaltender interference, the U.S. scored 18 seconds into its 5-on-3 power play with Donato screening Laco for Wisniewski’s first goal to make it 2-0 at the 2:20 mark. 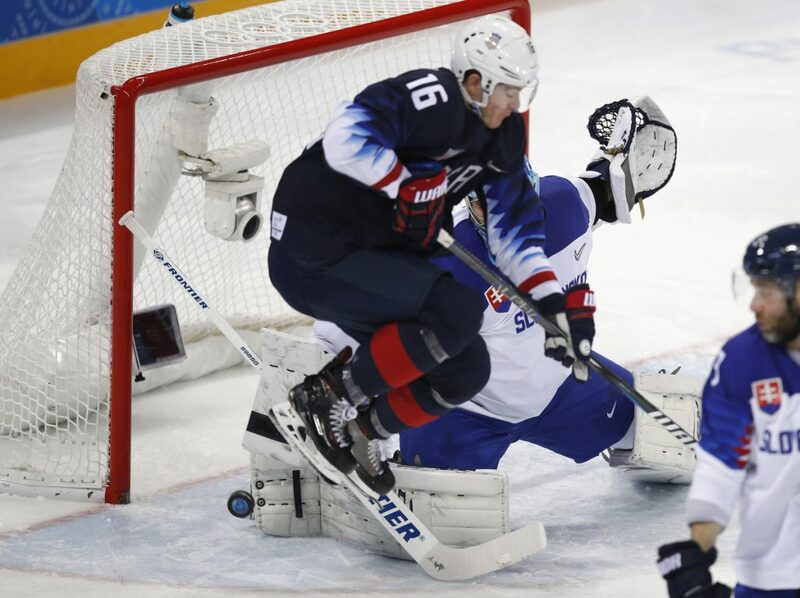 Terry took advantage of all the time in the world behind the net and found an open Arcobello for a one-timer to put the U.S. up 3-0 at 13:30. Donato scored his second of the game, this time on the power play, 16:46 into the third to put a capper on a convincing victory authored by the college players. NOTES: St. Cloud State defenseman Will Borgen was a healthy scratch again for the United States. … Veteran forward Jim Slater returned to the lineup, replacing Chad Kolarik. … Former NHL player and coach Craig Ramsay coaches Slovakia.